One of these sentiments is a lie. 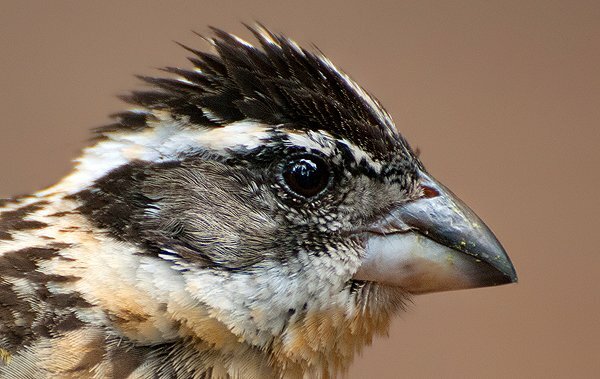 Well, go ahead and brush those goldfinches off your laptop and enjoy a closer look some other feathered friends. Snowy Egret brushing past as if I wasn’t there… how rude. Ring-billed Gull brandishing a pulsing orbital ring. 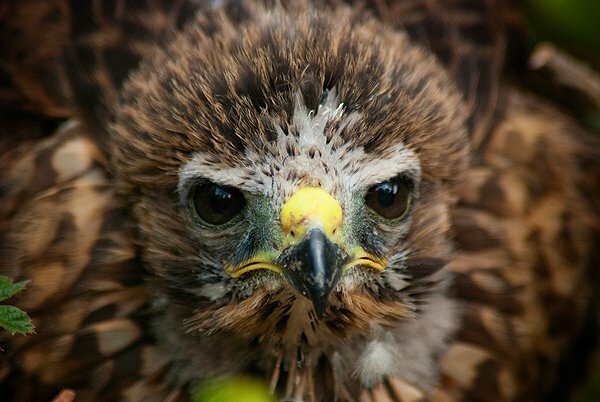 Baby Red-shouldered Hawk puts on its game face after falling from the nest. Black-headed Grosbeak unkempt in the rain. 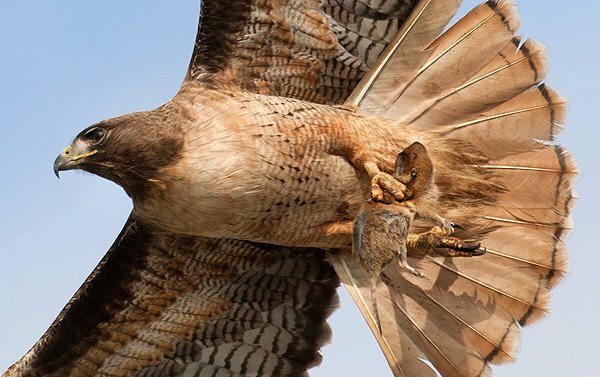 An intimate moment at dusk between a Red-tailed Hawk and an expired gopher. 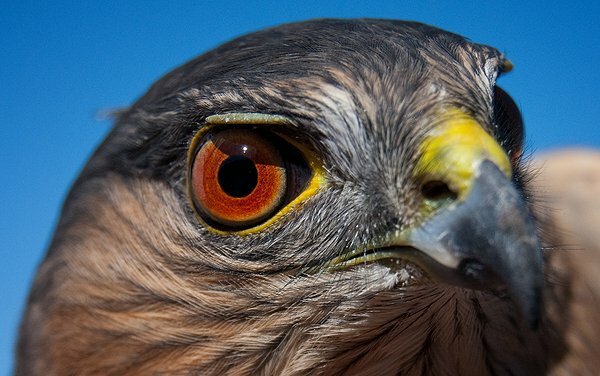 Sharp-shinned Hawk slowly getting blood-red angry. It takes them 4-5 years to become furious. 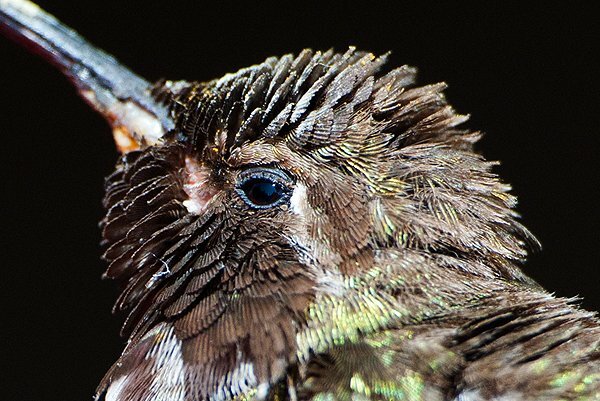 Anna’s Hummingbird revealing reptilian roots. This pinecone seems to be alive. 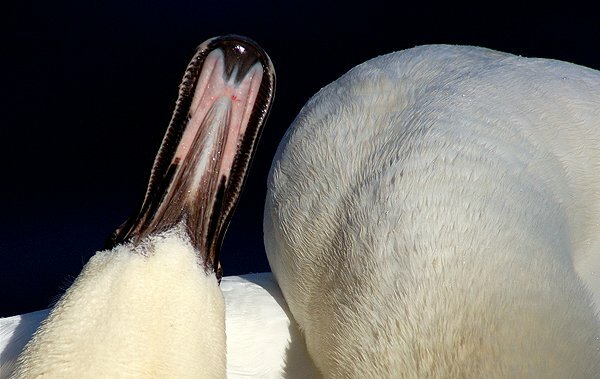 A Mute Swan spends most of the time hiding its lower lip. 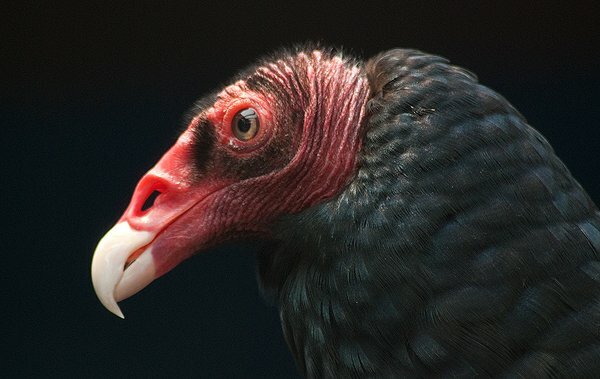 Don’t let anyone tell you Turkey Vultures are ugly. This one is a stunner. 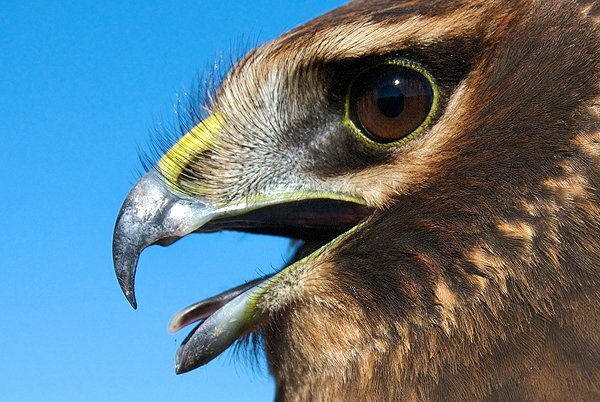 Young Red-tailed Hawk in all its solid raptorial glory. 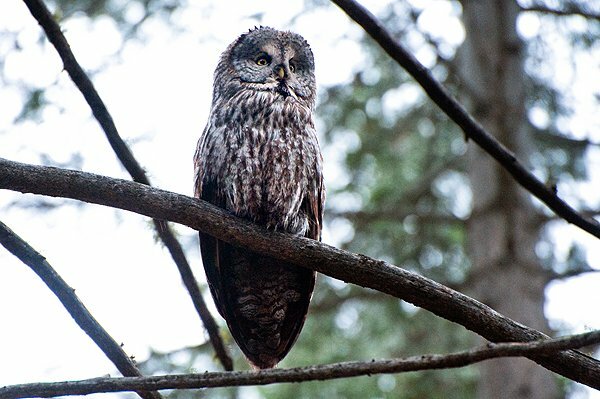 For me this counts as getting close to a Great Gray Owl, a bird I’d love to get closer to, but respect enough to leave in peace. WOW! 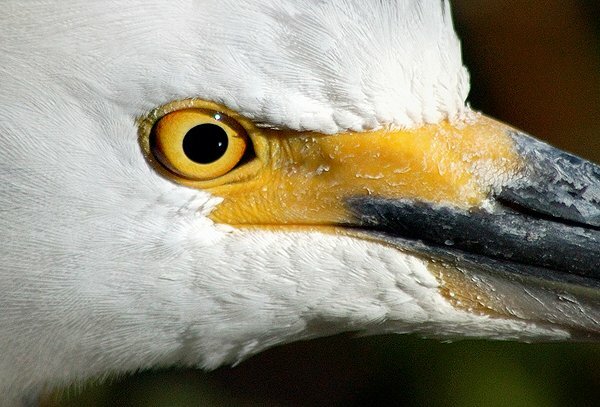 The egret’s bill is fascinating. Could you tell if the layers are peeling and flaking a bit, or is it crusted with salt water sediment? Hey Kendra, I always thought it was the bill flaking but now I’m not so sure. The gull below has such a clean beautiful bill but other egrets I’ve seen also have the “flaky” look. 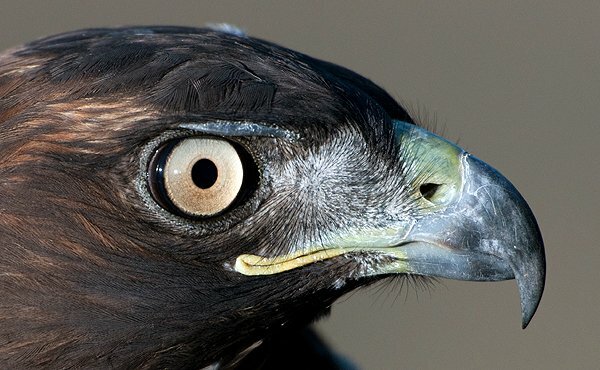 Bean’s Pat: Everyday Sunshine: Get Close http://tinyurl.com/73enmyg I dare you to look into these birds’ eyes – even if you’re not an avid birdwatcher like me, I think you will be amazed. Fascinating, and great captions, too. 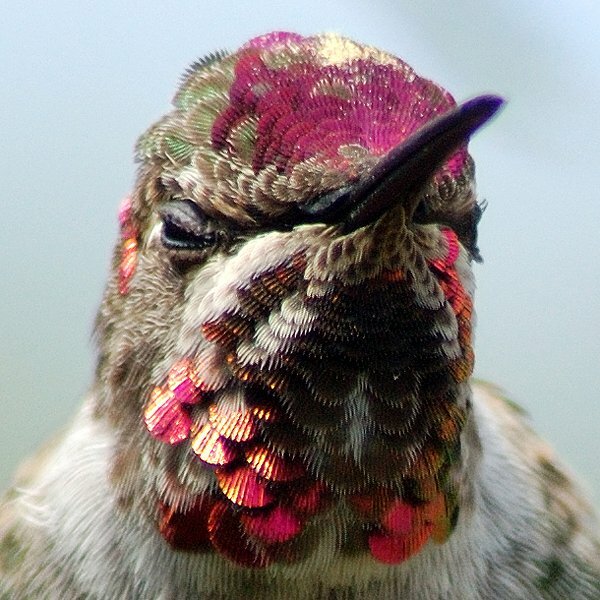 I love the closeups of the hummingbirds! Loves me some extreme close ups. Walter – your photos are THE BEST. I often am rushed and don’t thank you enough – and there is a concern that no one can publish first class photos as you do almost daily without feeling the burden of your fan’s expectations. It’s fine with me if you take a lot more time off for income producing work, family, friends, and just living – please do not feel under obligation to publish world class photos near daily (as you already do)! Again: Thank you – even if you only publish now + then! I’m not sure what to say to a comment like that except, “Thank you.” I’m just so glad that people appreciate the work and that I have a way to share these moments. Getting the images is often a solitary endeavor and sharing them is a lovely way to balance the scales. Well, amazing shot either way! Thanks! That’s a damn fine Great Gray right there. Makes me smile. As tremendous as these images are, Walter,I’m equally impressed by your writing. 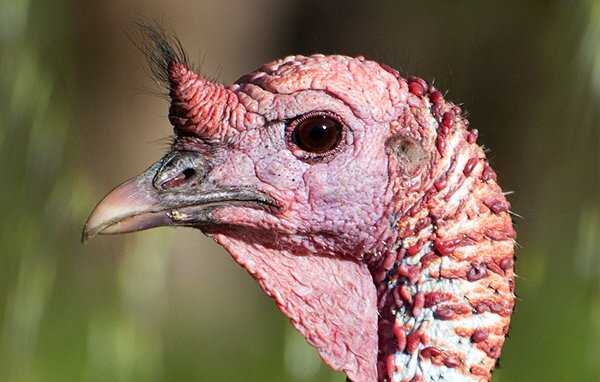 “Bristling rictally” is a phrase I won’t soon forget! Lovely shots. 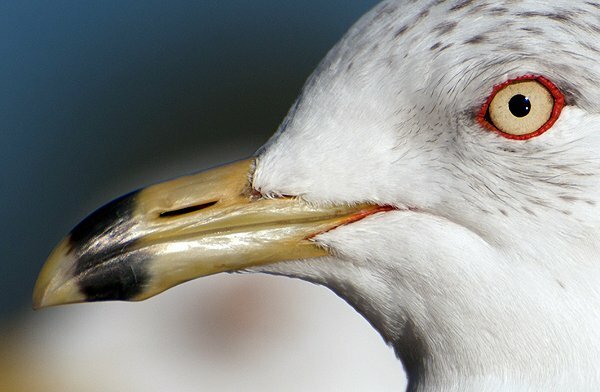 I’ve never given ring-billed gulls a second look. Who knew those eyes were worth some study. Thank you, Walter, for your enchanted brilliant birds, enchanted brilliant captions, and sharing. Hi Walter, want some company?